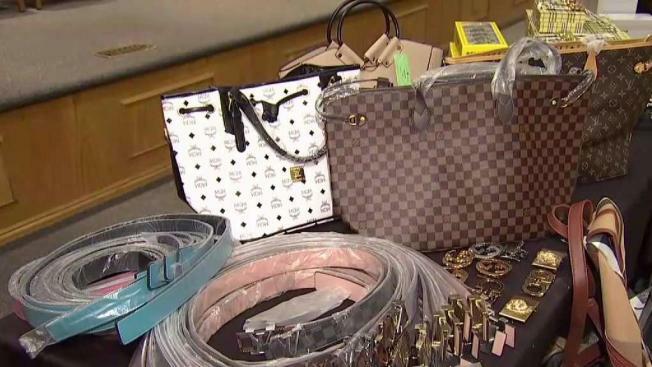 A Long Island father and his two sons have been arrested with $25 million worth of counterfeit designer accessories, ranging from Gucci to Rolex to Burberry knockoffs, authorities say. The 55-year-old Long Island man and his 22-year-old and 18-year-old sons were arrested Tuesday following a six-month investigation. Authorities say they seized fake watches, belts and purses from a warehouse in New Hyde Park.